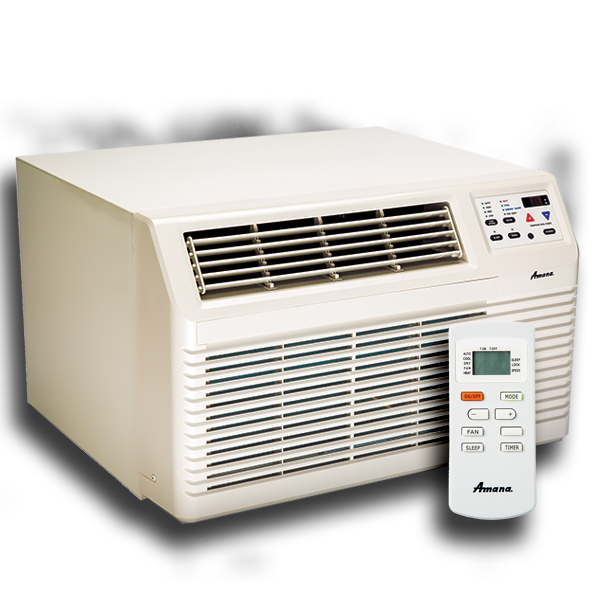 High energy efficiency with models up to 10.4 EER saving you money when compared to lower EER models. Easily removable condenser top that allows for quick and complete cleaning of outdoor coils. This access for cleaning the outdoor coil enables easy removal of dirt and debris to help lengthen the life of the compressor and other system sealed components. Remove six easy access screws and let the cleaning begin. Easy access slide out filter has a permanent polypropylene filter mesh that is easy to remove and clean. Easy to set switches to configure check filter light, temperature limiting capability, and fan auto cycle for heating or cooling. 100% Full factory run test on all units for high reliability and dependability. Units start the first time — every time. Quiet operation. Designed with guest comfort in mind — providing reliable, quiet operation for years to come.